Nikos Hatzopoulos or simply Nicos hails from a musical family of Naxos . His musical roots due to long musical tradition of his family and especially his father John Hatzopoulos , who was one of the leading artists of his generation on the clarinet . 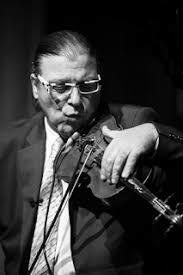 Started learning the violin at the age of 7 with teacher George Margiola and in a short time distinguishing his talent, his father urged him to write the conservatory to become an accomplished musician he was told . 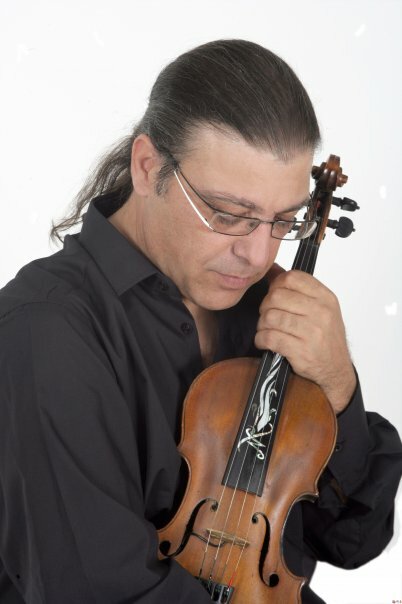 He completed his studies in violin at the " Greek Conservatory " with teacher Mrs. Benetatou and " Apollonius Conservatory " with Professor Michalis Christodoulou continued his studies while he became a professional violin from the age of 12 alongside his father . At the age of 14 years old gave exam on Greek radio and the approval of Simon Karas (responsible for the traditional part of Greek music in Greece ) began to participate in traditional forms strictly playing traditional Greek music and Asia Minor . He and " clothed " with compositions of various documentaries and short films and taking the first prize in the Amateur Film Festival in 1987 at the age of 26 years . He has on his resume collaborations with great names of arts of Greece, as Stelios Kazantzidis , Stratos Dionysiou , Yiannis Parios , Toli Voskopoulo , Haris Alexiou , Thanos Mikroutsikos Glykeria and many others, but it has coexisted with artists worldwide , such as the Milva, the Yianni, the Phill Collins, the City, the Al di Meola etc. Juggling between the classical and traditional violin and appearing of the biggest theaters until the youngest music venues . He has given performances always playing with the characteristic way in Europe , America, Latin America, Brazil , Argentina , Australia, New Zealand , Israel and in various places around the world .
" Deposits " of the present in a significant proportion of 95 % of Greek discography . The album "COSMOS" in 1997 which establish him on the international market in 1999 released the album «ZEPHYROS» in which he dressed with his violin golden cinematic compositions of Mickey Theodorakis. The 2001 releases «MEDITERRANEO» one of the most internationally successful Greek album, a collection of traditional songs of the Mediterranean. Songs included on CD: Buddha Bar III, Chill Out Vol.4, Geisha lounge, Best of Lounge Music, Limited, Buddha Club, Global Chillout Vol.1, Siddharta, Chill Out in Paris. Melodies of the Mediterranean with Nikos Hatzopoulos violin playing a leading role and to synthesize an excellent atmosphere . The Bustan Abraham, one of the most important musical figures of Israel, Javier Paxarino, the great Spanish Accents and the ( known to the Greeks ) Syrian oud player Ziad Rajab participating in the "Mediterraneo" and give a " Mediterranean " air in extremely instrumental tracks on the disc . The "Secret Love", the bonus track of the album, has been included in the Buddha Bar while the song "El Sueno De Nicos" ( The songs of Nick ) written by Javier Paxarino especially for Nick and "Mediterraneo". Travelling in Morocco, Southern Italy , Turkey , Israel , in Corsica , in Andalusia , in Lebanon and of course the Greek islands with twelve tunes that make up a super musical collages through which highlights the ability of the soloist Nikos Hatzopoulos . With melodic violin sounds in the background of our minds but we enjoy a fantastic beautiful trip in the Mediterranean .